Apparently you can take the girl out of the Middle East but you can’t take the Middle East out of the girl. Last week we were in Japan roaming the Nishiki Market area in Kyoto, trying to decide on what to eat for dinner. Suddenly, we stumbled upon the most fabulous sight, a schwarma stand! Schwarma shops are on every corner in Kuwait, and were in a strong rotation of food we ate in the two years we were in the Middle East. Hayden and I approached the Turkish worker with a happy “As-salam alaykom.” A huge smile spread across his face as he in returned the greeting to me in Arabic. We exchanged quick chit-chat as I ordered and paid for my Schwarma, both clearly outsiders to the Japanese culture, enjoying a moment of connection with someone from the other side of the world. Two years ago when we started telling our friends and family that we were selling everything we owned, quitting our jobs, and that we were moving to the Middle East, I’m sure lots of people thought we were crazy! We weren’t though, we were just looking for an adventure and new travel opportunities. Last summer, when we were back in Minnesota, and were sharing the news that Rachel was pregnant and that our son was going to be born in Kuwait, I’m sure lots of people thought we were crazy! We weren’t though, because we knew that we had a great doctor and hospital here in Kuwait. We’ve taken some crazy trips, been in a few sticky situations, and have been lost numerous times in foreign countries, but no . . . . we’re not crazy. Ok, ok, maybe we ARE a little crazy sometimes, but this week we made a very mature decision that proves that we aren’t always CRAZY! Turkey has been in the news a lot lately, and unfortunately . . . . not for good reasons. There is a bit of unrest in the country right now, which is very unfortunate, because it is such a beautiful country with great people. I was there last November and had a wonderful trip! Due to the recent unrest in the country, the United States Department of State issued a Travel Warning for Turkey on March 17th. It’s always been our rule of thumb, that we wouldn’t travel to a country that had a current Travel Warning. We figure that the government knows more than we do, so we just listen to their advice. I’m sure we would have been safe if we had gone to Istanbul, but now that we have Hayden in our lives, we know that we should just take it easy and follow the advice of the professionals. So there it is folks, we aren’t entirely CRAZY! We like traveling and love the adventures that come along with it, but we also know that sometimes it’s just best to reconsider your travel plans. So instead of a trip to Istanbul for Spring Break, we are going to enjoy a little “stay-cation” here in Kuwait! You can visit the U.S. Department of State’s website to view a complete listing of Travel Alerts and Warnings here. Welcome to this week’s edition of Mitch’s Monday Happy Hour! Here’s what I’d have to share if we were meeting for Happy Hour this week . . . . .
First of all, I apologize for skipping last week’s Happy Hour! In fact, this week’s edition almost didn’t happen either . . . . It’s currently 10:30pm and I’m laying on the couch exhausted, but I thought I would throw something together quick for you. 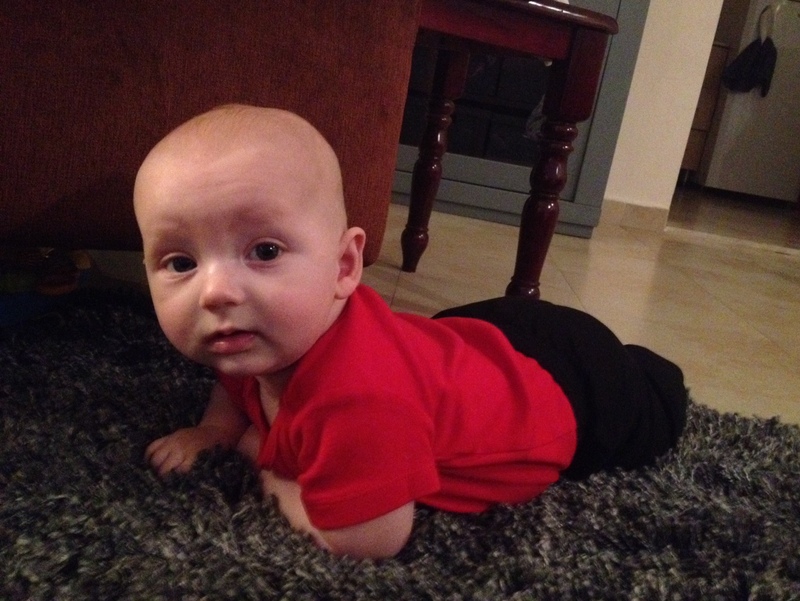 It was a big week for Hayden, he rolled over for the first time from his back to his stomach! Of course we didn’t get the first roll on video, and in fact, we still haven’t got one of them recorded! In a world where it seems like people are constantly glued to their phones/cameras, every time he rolls we shout, “where’s my phone, where’s my phone?!?!?!? !” We never find it in time! Hayden received his 4 month vaccinations this week. Here in Kuwait, the government requires children to get certain vaccinations. Since they are required, you have to go to one of the Government Clinics, which is unlike any hospital/clinic I’ve ever been too. It’s crowded, the waits are long, nothing seems organized, and they are only open certain hours each day. It sure makes us feel grateful that we have health insurance so that we can attend the private clinics/hospitals for medical care. The nurses we had were fantastic and Hayden was a totally stud! Once the needle poked him in the leg, he gave us a weird look and just crinkled his eyebrow. He let out one small wimper, which I translated to, “ouch!” No tears, no crying, just a total tough guy! However later in the night we noticed a booger in his nose, so we grabbed his lil’ boogy sucker thingy (I think this is the official name). As soon as he saw that thing near his nose, he let out a bloodcurdling screammmmm! 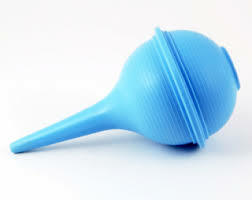 He’s our little macho man, but he hates this thing, so apparently the boogy sucker thingy is his kryptonite. 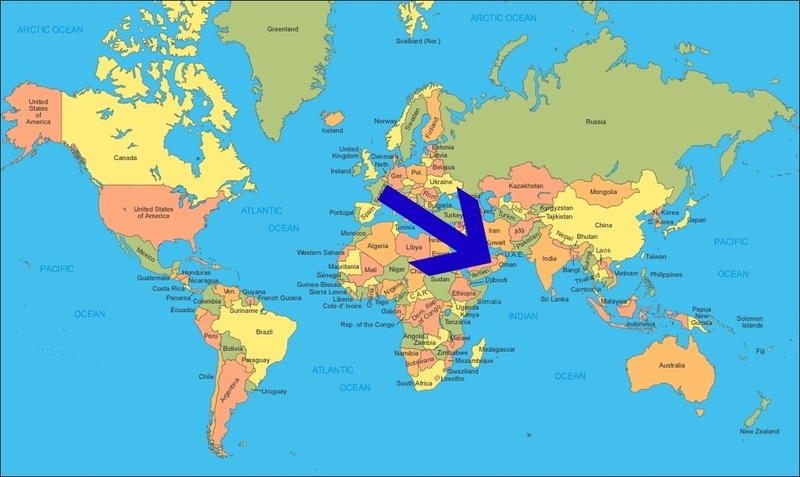 On Wednesday of this week, we are heading to Oman for a 4-day weekend to visit our friend Mike and his family. Mike was the person who encouraged us to consider a life overseas, and specifically in the Middle East. Since he moved to Oman over 5 years ago, we kept telling him that we were going to come visit, and the time has finally come. We’re excited to explore Oman, check out some of their amazing beaches, and just enjoy a cold beer with a great friend. This weekend, Kuwait is celebrating it’s two largest holidays of the year, and they are on back-to-back days! On February 25th Kuwait is celebrating National Day, which marks the creation of Kuwait as a country in 1961. On the next day, February 26th, Kuwait celebrates Liberation Day, which marks the end of the Gulf War in 1991 when Kuwait liberated from the Iraqi invasion. As a result of the holiday weekend, we only have a 4-day week this week! Get this though . . . when our week was half over here in Kuwait (2pm on Monday) the work week in Minnesota hadn’t even started yet! (it was 5am on Monday) Woohoo, only 2 more days until vacation! See you next week ya’all! As hard as it was for us to make the decision on what we should be doing in the next stage of our life, we made the decision that we are moving to Jeju Island, South Korea in the fall of 2016! To be honest, prior to last year we didn’t even know Jeju existed. We had a friend who left Kuwait last year and moved to Jeju, which opened our eyes to this awesome little island off the coast of South Korea. In case you, like us, are just learning about Jeju, we are excited to teach you a few things about the island as we continue to learn and start exploring this fall. Mitch and I were both offered positions at an excellent school on the island, and we just couldn’t turn down the opportunity to continue an international lifestyle and have a new corner of the world to travel around. Like most international teaching positions, a two year contract is required, so we’ll be there at least until June of 2018. We hope to explore far east Asia as much as possible, and can’t wait to watch Hayden grow up in this international life, where he’s able to learn new cultures and see parts of the world that most people in the United States never will. We are already imagining his little toddler legs walking across the Great Wall of China, building sand castles on the beaches of the Philippine Islands, and riding the high speed trains across Japan. The world is a big and wonderful place, we Might as Well explore it. This can potentially continue on for a ridiculous amount of time. If it is that hard for us to decide what to eat, imagine us making a decision as big as what country should we live in next year. Being a part of the international community means that every year a huge portion of our friends, and ourselves, are making the decision: stay for another year, move to another country, or go back home. We signed a two year contract when we came to Kuwait, so we knew that this was the year of the big decision for us, and we struggled with that decision….for months! Pro: We have awesome friends here, and we know a bunch of wonderful nannies that we feel comfortable with that we could easily leave Hayden with next year. Staying here would also be super easy (moving is a crap ton of work!) and travel options from the Middle East are wonderful! You can take a quick trip and be in Europe, Africa, or Southeast Asia very easily. Con: Our family doesn’t live here, it is brown…very brown, and we miss grass. The driving is crazy (seriously, every time I put Hayden in the car I say a quick little prayer before we take off) and we spend far too much time commuting back-and-forth to work every day. I would like that hour (minimum) of my life back each day. Pro: Our family lives there! Con: Less pay, no more adventure for us, and Mitch would probably go back to his old career, which means working a lot more hours and cutting into our family time. 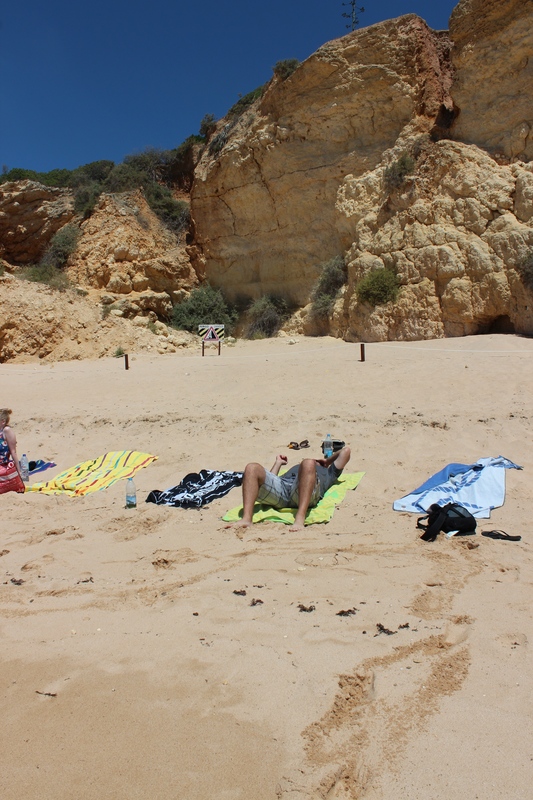 Life back home is also a lot busier (we like the slow pace of life that we have as expats). Also, traveling abroad would go back to one trip a year. Each option that we had would lead to so much happiness and yet, so much sadness all at the same time. I love living overseas and I love the lifestyle my little family has. We work, travel, and have fantastic time off to spend together, but all of that comes at a cost; unfortunately each decision does have a cost. We stewed about our decision from the day we got back to Kuwait last August until the day we had to inform the school of our decision in December. As hard as it was, we made a decision, one we are both happy with and extremely sad because of. More info on what our next life plan is coming soon. Excuse Me United Airlines, I Think That’s My Bag! When I travel, I usually always carry-on one pack, my Eagle River pack. I always fill it with my technology, any important documents, and a couple changes of clothes (just in case the airline loses my checked baggage). However last June when we were flying back to the United States for the summer, I decided to just check my carry-on bag for the last leg from Newark, New Jersey to Minneapolis, Minnesota, because I was sick of carrying it around. We were able to squeeze all of our important items into Rachel’s carry on and stuff my carry on with all of the clothes. 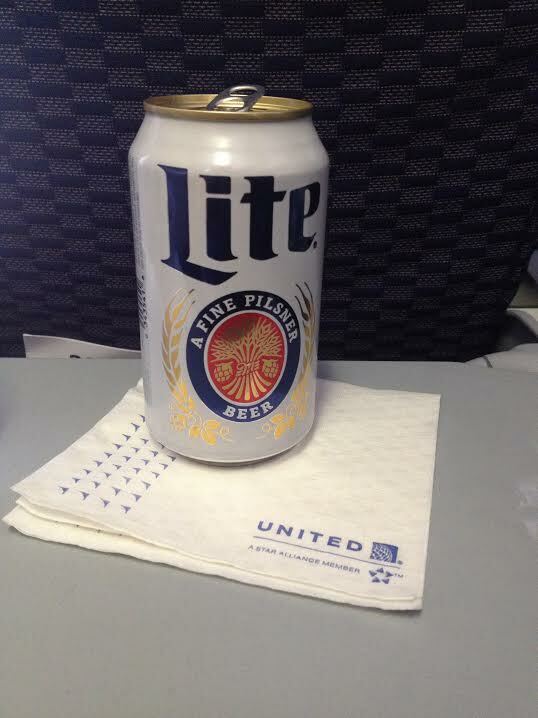 As soon as we boarded the United Airlines plane, I quickly ordered a cold beer! As you probably know by now, Kuwait is a dry country, so I was super pumped to have one! As I was enjoying my beer, I was watching a couple of Baggage Handlers loading luggage onto the plane next us. I was watching as they would monotonously grab a bag, scan the tag, then chuck it on the conveyor belt, and watch it disappear into the belly of the plane. I was enjoying the entertainment, when I noticed something different in the pattern. They scanned a bag, looked at, then set it on the fender of the conveyor machine. I was starring at the bag, when all of a sudden I realized, THAT’S MY BAG! 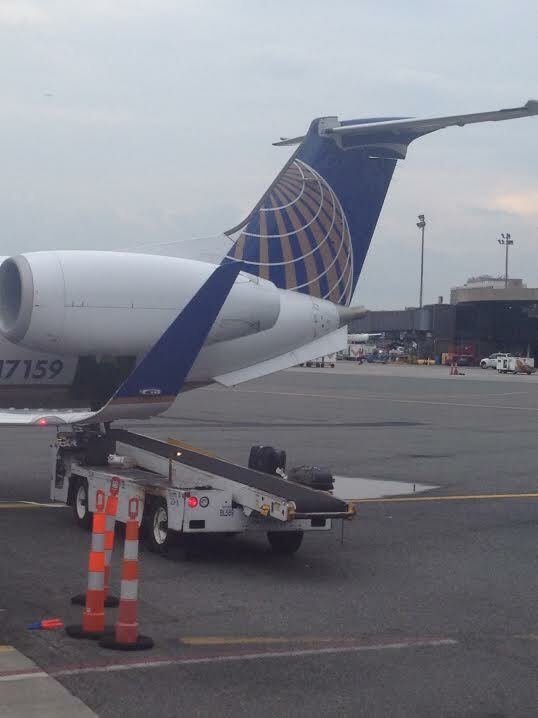 The Baggage Handlers finished loading the plane, and just walked away. In the meantime, the final passengers were boarding our flight, and we were about to leave in any minute! I immediately pressed the Flight Attendant call button . . . .
*In the meantime, the two baggage handlers are hiding under the terminal, with their faces buried in their phones. All of the passengers are now loaded onto our flight, they are about to close the door! Then the United Airlines Gate Agent comes onto our flight and comes over to me. He leaves the plane, and I can now see him out my window walking towards my bag. I’m a bit nervous at this point and my fingers are crossed that it IS my bag, because I’d hate to cause a big deal over nothing! Then I see him check the tag, grab it, and walk towards our plane. It indeed WAS my bag! In the meantime, the two baggage handlers are still hiding under the terminal, with their faces buried in their phones. They think they are hiding, but I can clearly see them. Seriously, about 1 minute later the door to our plane closes, and they start to push our plane back from the gate. So my advice to you: Always look out the windows once you are seated on your plane. You never know if you’ll see your luggage being loaded onto the WRONG flight! Last June when we finished the school year, we started the long trek from Kuwait back to Minnesota. The school books our flights to and from Kuwait each year, and they usually book all of our flights using Lufthansa Air. Lufthansa has a sweet policy on layovers. Here’s how it works: when you book a flight with Lufthansa you can extend your layovers for FREE. Meaning that our flight path took us from Kuwait to Frankfurt before it took us back to the U.S. 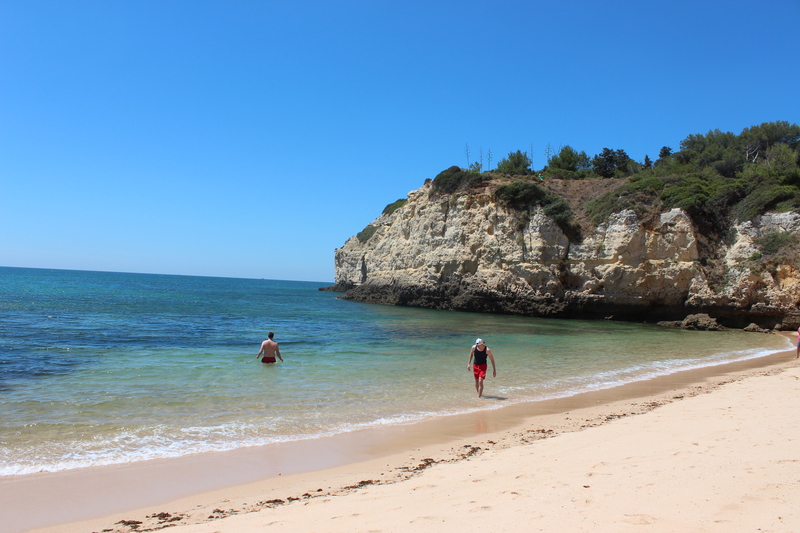 Using Lufthansa’s layover policy we were able to extend our stay in Europe for 6 days to soak up some time on the beaches of Portugal, before we headed home for our whirl wind of a summer. 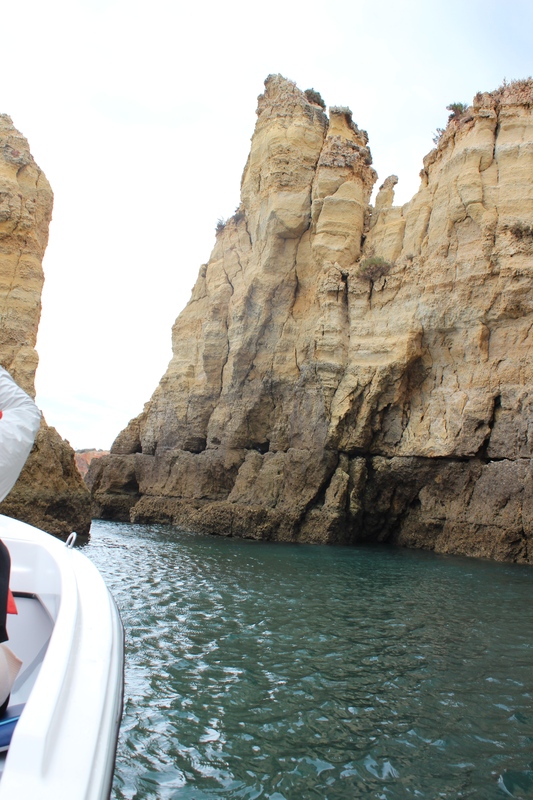 We convinced six of our friends to join us on the Southern Coast of Portugal, in an area known as Algarve. We rented a beach house with amazing views for dirt cheap. 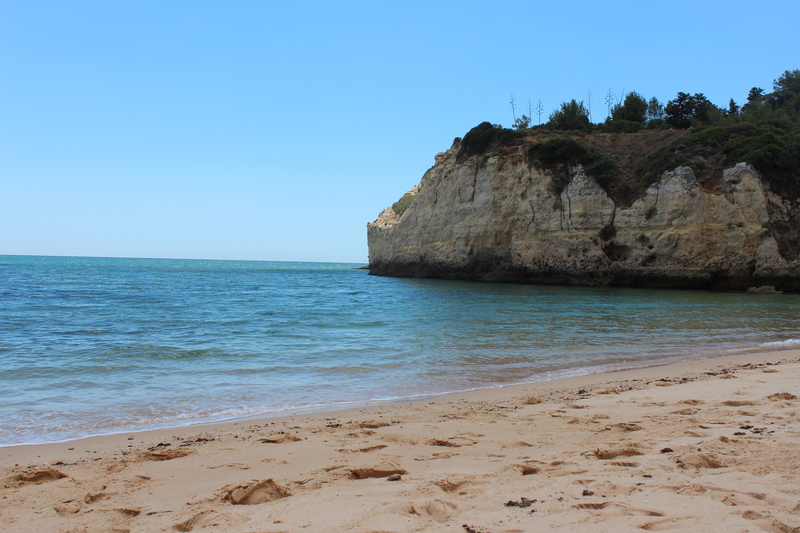 Our vacation began once we landed in Lisbon, where we grabbed two rental cars and drove a few hours from the capital, down to the beach. We very purposefully planned nothing to do on this vacation! We just enjoyed the stunning views over the ocean, played cards, bar-b-qued, and stayed up late listening to music and laughing with friends. My words aren’t really going to be able to describe how beautiful this area was, so I’ll just let the pictures do the talking. Friends + Sunshine + Exploring a New Country = a Fantastic Vacation Thanks for the great time crew, I would travel with any of you, anywhere, anytime. The group heading out to sea. 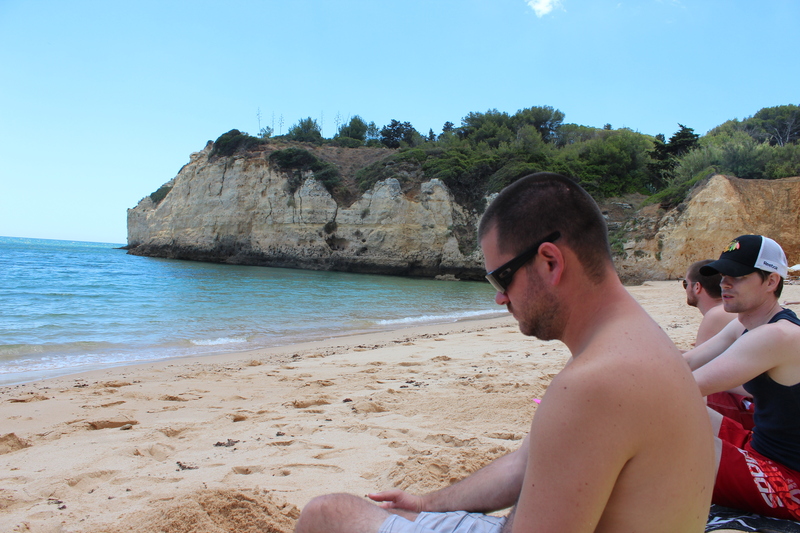 While we were in Portugal last summer, we mostly sat on the beach with our friends, looking at the ocean, and soaking up the sun. 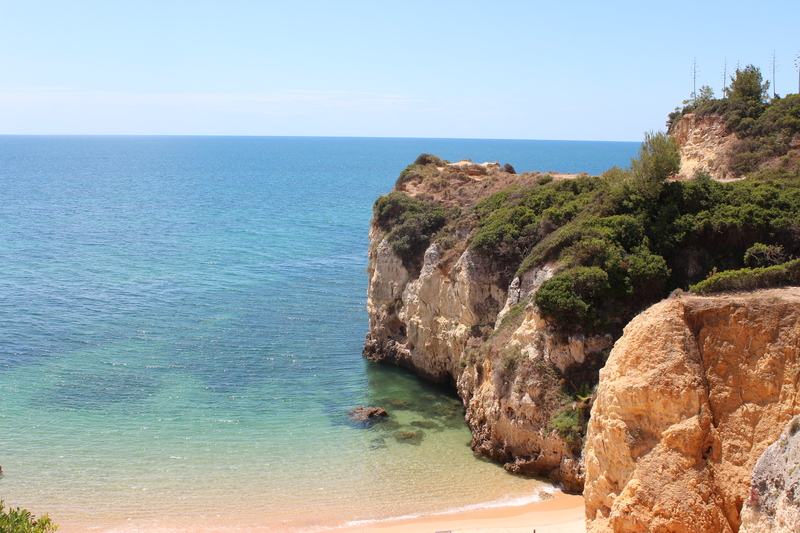 One day though we hopped into our rental cars and drove a half hour to the coastal town of Faro. Once we got there, we walked up and down the boardwalk and saw what tour options there were for tourists. 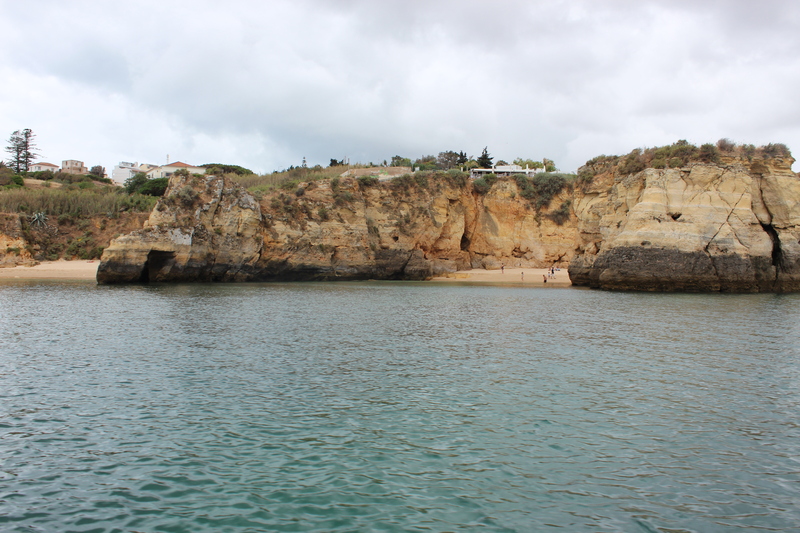 After reviewing our options, we decided to take a boat tour of the caves in the surrounding area! 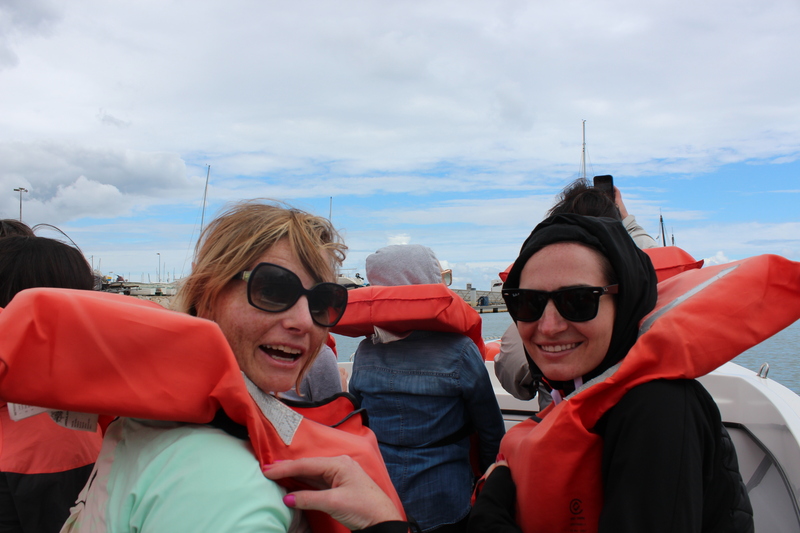 Our friend Niamh’s cousins were coincidentally in Portugal at the same time we were, so we were able to fill the entire boat with just our group. 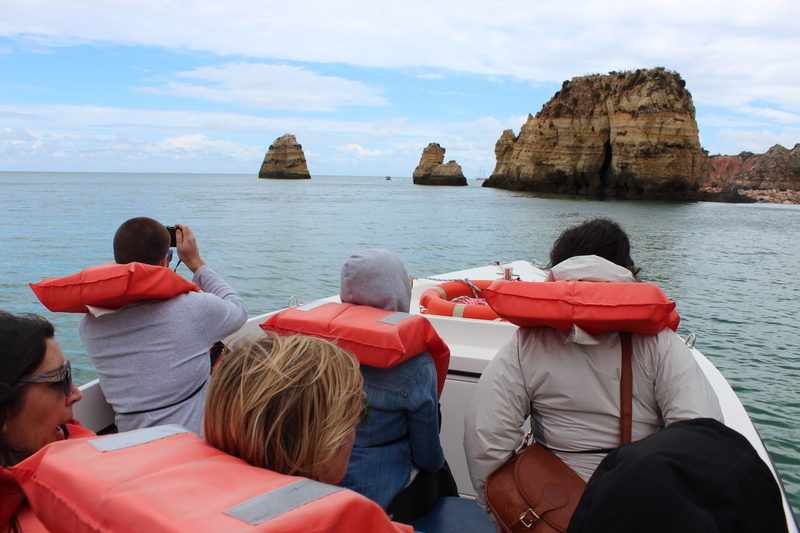 As we headed out of the Marina the blue skies and jutting cliffs were just what we were hoping to see. The pictures just don’t quite do this natural phenomena justice. 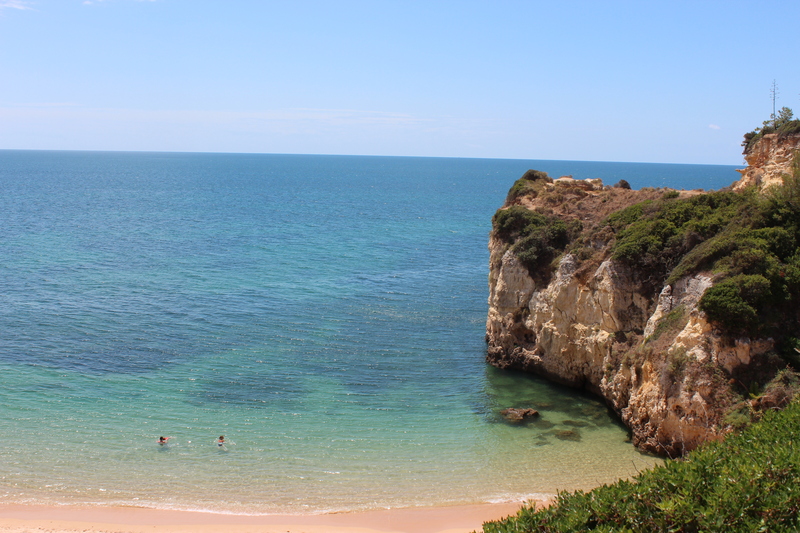 Private beaches along the coast. Niamh and Lauren showing off their cute life jackets! 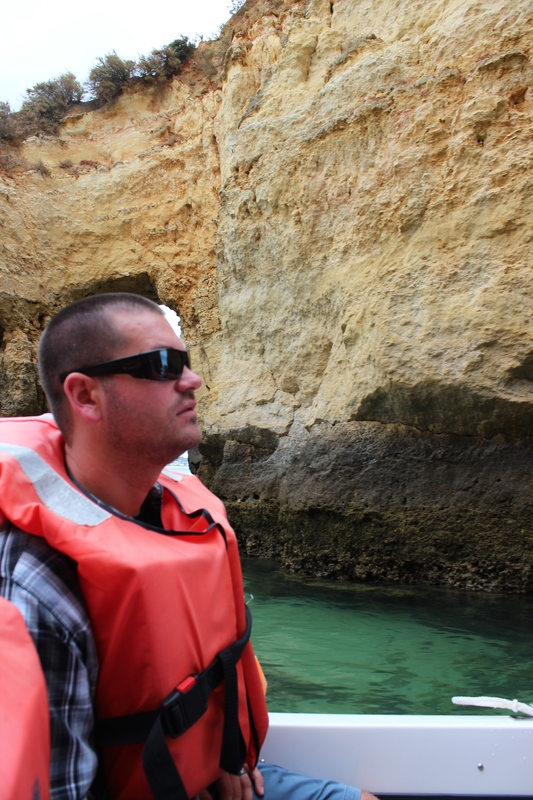 Mitch looking super serious on the boat ride. 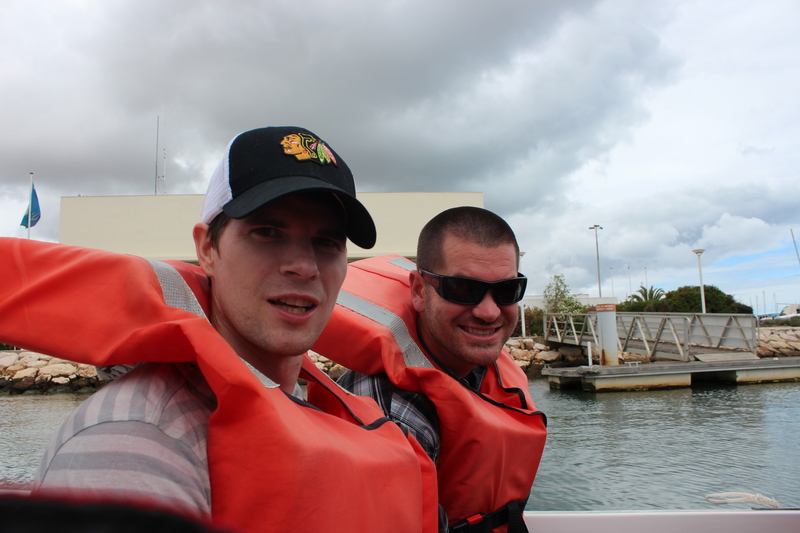 Mitch & Adam, the day after the Chicago Blackhawks won the Stanley Cup.